In 2006, Planet Earth, the British television series produced by the BBC Natural History Unit “has changed our view of the world”. It was the first nature documentary series filmed in high definition. It took five years in the making and it was the most expensive nature documentary series ever commissioned by the BBC. Now, ten years later, in February 2016, the BBC announced a six-part sequel had been commissioned, titled Planet Earth II. On October 2016, BBC released the new series’ trailer. Planet Earth II is narrated by Sir David Attenborough, the English broadcaster and naturalist. He is best known for writing and presenting the nine Life series, in conjunction with the BBC Natural History Unit, which collectively form a comprehensive survey of animal and plant life on the planet. He is also a former senior manager at the BBC, having served as controller of BBC Two and director of programming for BBC Television in the 1960s and 1970s. He is the only person to have won BAFTAs (British Academy of Film and Television Arts) for programmes in each of black and white, color, HD, and 3D. The documentary also features an original score by Hans Zimmer, the German composer and record producer. Since the 1980s, he has composed music for over 150 films. His works include The Lion King, for which he won Academy Award for Best Original Score in 1994, the Pirates of the Caribbean series, The Thin Red Line, Gladiator, The Last Samurai, The Dark Knight Trilogy, Inception, and Interstellar. 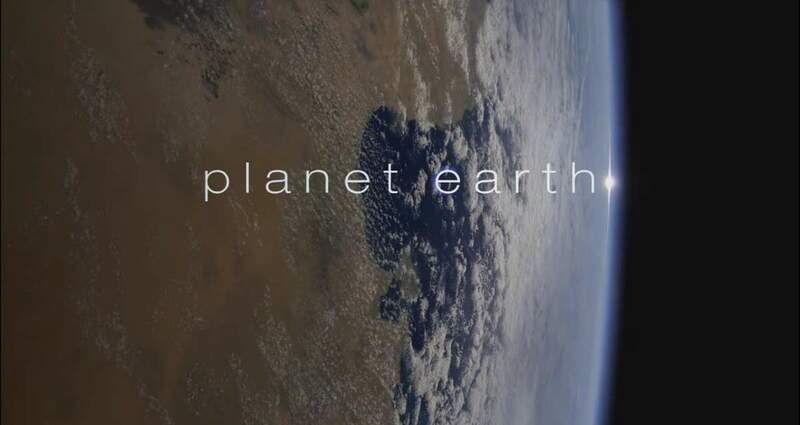 The first Planet Earth, which has eleven episodes, each of which features a global overview of a different biome or habitat on Earth, premiered on 5 March 2006 in the United Kingdom on BBC One, and by June 2007 had been shown in 130 countries. The first episode, Planet Earth: From Pole to Pole won the Science and Natural History award at the Royal Television Society Programme Awards in 2007. The RTS also awarded it a Judge’s Award and a Photography Award at its Craft and Design Awards. The series picked up two awards from the Broadcasting Press Guild for Best Documentary Series and Innovation in Broadcasting, and won Best Documentary Series at the 2007 Broadcast Awards. At the 2007 BAFTA Television Awards, Planet Earth was nominated in the Specialist Factual and Pioneer Audience Award categories, but lost out to Nuremberg: Goering’s Last Stand and Life on Mars respectively. It received three nominations at the BAFTA Television Craft Awards later the same year. George Fenton’s original score won him Soundtrack Composer of the Year at the 2007 Classical BRIT Awards. Planet Earth was also nominated for the NTA for Most popular Factual program but lost to Top Gear (Supernanny and Bad Lad’s Army: Officer Class were also nominated). Planet Earth was recognized by the American television industry, collecting the award for Nonfiction Series at the 59th Primetime Emmy Awards in September 2007 and winning a further three prizes in technical categories at the Creative Arts Emmy Awards. It also collected two awards from the Television Critics Association in Los Angeles in July 2007 and a Peabody Award in April 2008. The series was also fêted at wildlife film festivals around the globe, collected multiple prizes at the Wildscreen Festival 2006, the International Wildlife Film Festival 2007 and the Jackson Hole Wildlife Film Festival 2007.